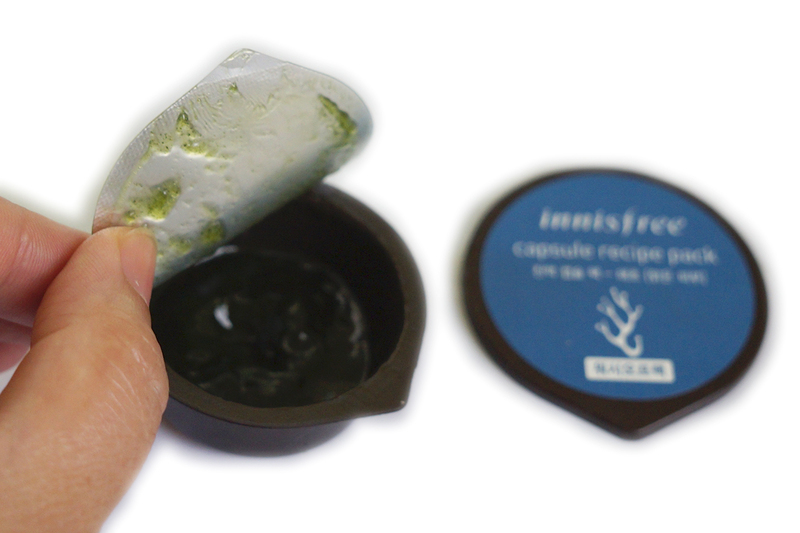 I'm taking a break reviewing toners and changing things a bit today and will now review a mask pack from one of Korea's more popular and affordable brand, Innisfree. This company is well-known for many holy grail products, most especially their skin care line and more particularly their mask packs. 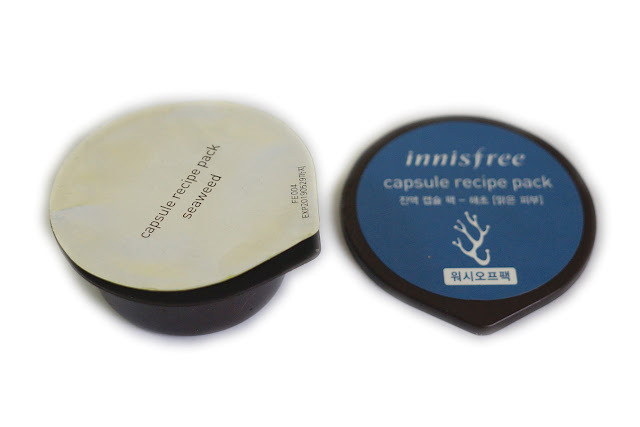 The one have for today is their Capsule Recipe Pack in Seaweed. 1. Heat your skin naturally with seaweed (Containing 10,000ppm of chlorella powder). This wash-off pack is actually self-heating, that is, it heats up when it comes in contact with your skin. Honestly, I didn't know this mask actually heats up since the description at the Althea website didn't say so. I just wanted a mask to help improve my complexion and combat the inevitable aging signs. When I first applied it, I was surprised that it warmed up on my skin. Still, the heating sensation was a pleasant because the warmth was very soothing and relaxing. To get the full benefits of the mask, I gently massaged it unto my skin. The texture is smooth and felt a bit "slimy," The slime effect was also compounded by the fact that the mask is actually colored green, with soft, black grainy bits. My face felt smooth and soft after using this heated seaweed mask. It's supposed to help brighten your complexion by removing dead skin cells and also help with aging concerns by improving skin tone and smoothing out lines and wrinkles. I can say that it did help brighten up my complexion. 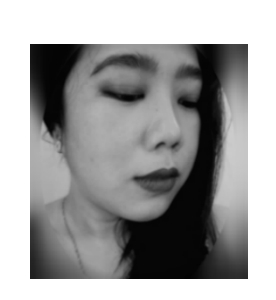 I have observed that my face looks clean, supple and revitalized after each use. As with the anti-aging claim, I'm not too sure since I don't have pronounced wrinkles to test it on. It did help boost my skin's overall texture and tone. The old version of the mask pack have issues with the packaging as it didn't close properly. The newer version (which I have) has a niftier and more user-friendly packaging. 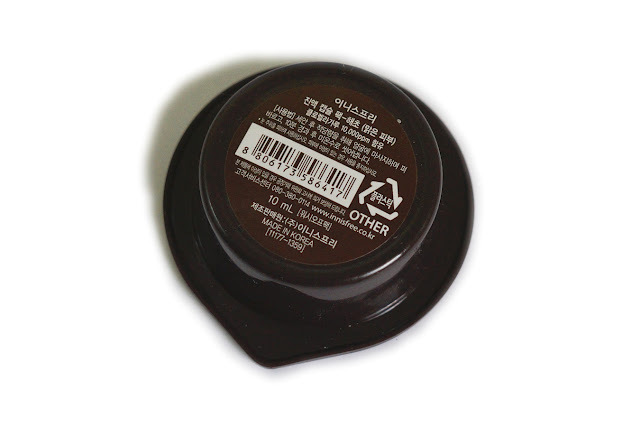 It has a lid that tightly snaps on so you can store it properly and securely after each use. 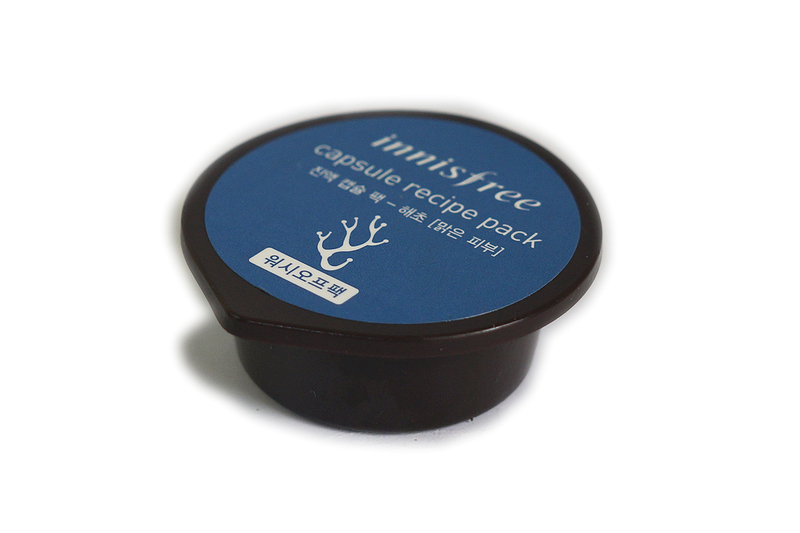 Innisfree says each pack is good for 2-3 uses, but I did get up to 6 uses out the 10ml pack so you do get value for your money. Overall, I like this seaweed mask so will probably repurchase. I'm also interested in trying other variants.